Dave played high school baseball at Lancaster High School in Lancaster, Ohio, where he had a 21-4 career record as a pitcher, and was named to the All-Ohio All-Star team his senior year. After graduating, he went on to play Division I baseball at Ohio University, where he was a four year letter winner. After college, he became a teacher and baseball coach at Lancaster High School for 10 years, leading the team to the Division I State Semi-Finals. 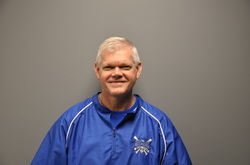 After relocating to Northeast Ohio in 1994, he began coaching travel baseball and served as the assistant varsity baseball coach at Cuyahoga Valley Christian Academy for 7 years. Shortly after leaving CVCA, in 2007, he opened Hit & Run Baseball Academy. Tammy played softball at Tallmadge High School, where she had a career ERA of 0.59 as a pitcher and led the program to back-to-back State Championships (1997 & 1998). She was named to the First Team - All Ohio her senior year and led all Division II in wins in a season with 27 wins. After graduating, she signed with the Kent State University softball team as a pitcher and utility player. She became a four-year letter winner at KSU, spending most of her time as an outfielder. Upon graduation, Tammy pursued her Master's Degree in Mental Health Counseling at Walsh University, where she was also recruited as a graduate assistant, softball coach, and pitching instructor. During her tenure there, the program earned its first NAIA National Championship birth and won back-to-back conference titles. 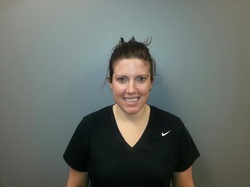 She has also spent two years coaching at Brookbank Academy and is currently the assistant head coach for the 12u Ohio Fire travel softball team.